Prominent & Leading Manufacturer from Jaipur, we offer linear variable transducer trainer, load cell demonstrator, optical transducer trainer, temperature measurement tutor, motor speed control trainer and temperature transducer trainer. Looking to the recent requirement of educational institutions, we have developed. 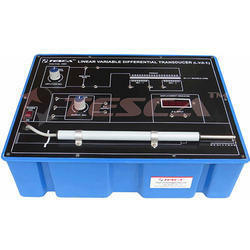 Load Cell Demonstrator. It shows digital display of measured weight. Practical experience on this board carries great educative value for Science and Engineering Students. Optical and Temperature transducers play a very important role in today's industrial and domestic applications. optical and Temperature Transducers Trainers are unique in design because each cover study of 4 different type transducers. Experiments covering fundamental characteristics of transducers & study of transducer controlled switching alarm systems can be performed with these trainers. 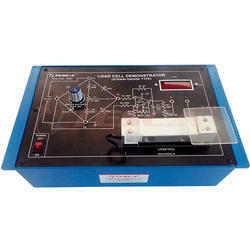 These trainers comes with exhaustive manuals covering theory and experimental procedures for conducting experiments. To study the Characteristic of AD - 590. D.C motor Speed control trainer built around a small permanent magnet D.C. motor is designed to bring out the salient features of such a system. Facilities are available to directly measure the principal performance features of the speed control system, viz, steady state error and load disturbance rejection, as a function of the forward path gain. In addition. the experimental work involves the determination of the motor transfer function and the characteristics of the tachogenerator. An important feature of the unit is the built-in absolute speed measurement through photo diode pick-up from a slotted disk followed by a frequency counter. Variable loading of the motor is achieved by a built-in eddy current brake. In today's the importance of PLC has rapidly increased with growing demand for training in this area. 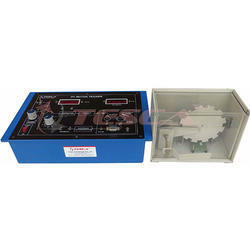 The standard packages for PLC are module experiment PCB, power supply, programming and operating software. Optional accessories includes digital and analog expansion modules. With the rapid progress in computer technology and their applications, these computers can be used as dedicated controllers for a variety of uses turning on/off lights or other devices around the home, office, laboratory or factory come to mind. All that is needed is the interface to connect it to the real world. This Kit provides both the hardware and the software to do this. Ultrasonic Digital Distance Meter has been designed specifically for measuring distance between 0.3 metre to 3 metres. The measuring distance is shown on a 3 digit liquid crystal display LCD. Pneumatic Trainer explores students & industry professionals to the basic principles of pneumatics and compressed air devices. It tells, how components manage, command, direct or regulates pneumatically. 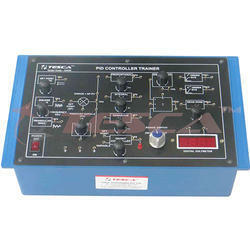 All types of pneumatic controls are explained in the trainer. 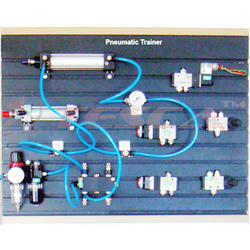 Pneumatic Trainer has pneumatic components which can be used for study of Basics of Pneumatics. 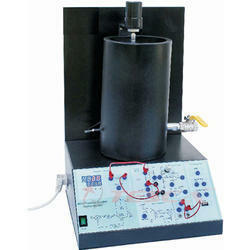 There is a wide range of experiments which can be performed on the trainer. 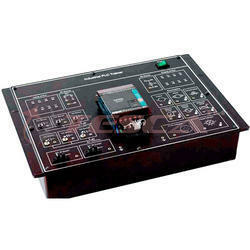 In control system there are different types of controller. Study of two-position mode as ON/OFF controller and continuous controller modes as PID controller is a very important part of control engineering. 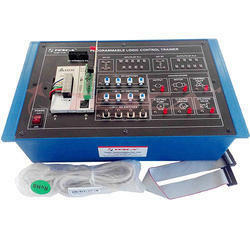 To have a basic idea and practical hands on controllers our PID Trainer has been designed to be used by student to investigate the fundamental principles of PID by applying different signals to it. With PID controller trainer student can study two position mode as ON/OFF controller and continuous controller modes as P-control mode, Icontrol mode, D control mode, PI-control mode, PD - control mode and PID control mode. This modes of controller can be performed individually and also with different combinations in open loop and close loop system. 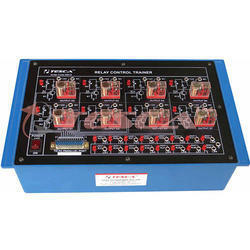 With this trainer user can easily understand the difference between the different modes of controllers used. Square wave, triangular wave generator and variable DC supply as set point is given on board and disturbance generator is provided. Effect of PID can be seen on first order system and second order system in open loop and close loop system, which is given on the board. Test point at varies block to measure and observe the signals. Digital control of industrial processes has become very the design and evaluation of the controller. The digital important today because of the advantages it offers and controller consists of a 8085 based microprocessor the increased availability of inexpensive computing kit with analog-to-digital and digital-to-analog interface. power of microprocessors. Describing and identifying system behavior. Behavior of second order systems. Position control with velocity feedback. 3-Term or PID control / Stability. The use of computers for control. Analog and digital interfacing . In this modern era, instrumentation & control engineering have major share for the industrial growth, whilst process control is a vital concept of it. The functionality and complexity of process control have been increased. Mini Process Control Demonstrator endows students and industry professionals to understand the concepts and working of thermal process control which enables them to learn advance and more complex thermal process; and contribute in the growth of instrumentation arena. It formulates students to accumulate, develop and practice the fundamentals of thermal process control. 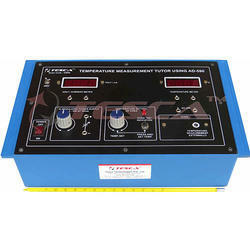 Mini Process Control Demonstrator has sensors like temperature sensor, liquid level sensor, level indicators. It has safety measures such as emergency shutdown and overheat protector. There is a wide range of experiments that can be performed on the trainer. It also has computer interfacing with real time graphical analysis which helps to perform mathematical calculations required to state stability of process using methods like root locus, bode plot, etc. This feature increases the scope of doing research and implementing ones innovative ideas related to thermal process control. Study of process with two position controller, PID controller and optionally with PLC. 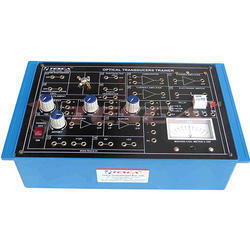 PLC Trainer is an ideal tool to study the working of PLC's used for industrial applications. 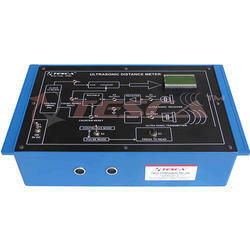 The trainer has been designed to demonstrate the application of PLC in the area of 1. Wiring of PLC with different inputs and outputs. 2. Switches like Latch, NO/NC toggle, NO/NC IR can be connected as an input to the PLC. 3. PLC can drive annunciator which has valves, motor, pump, visual indicator and audio indicators according to the input of PLC. Control System Lab explores students & industry professional to the fundamentals of Control System. It demonstrates, how one device can be used to manage, command, direct or regulate the behavior of other system. Sequential Control, Linear Control is also well explained in the trainer. Control System Lab has sensors like Temperature sensor, Light sensor, DC motor, Filament lamps, IR sensor and many more which can be used for the study of Control system. 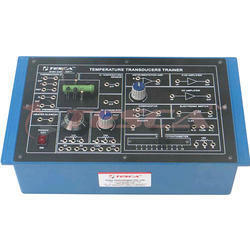 There is a wide range of experiments which can be performed on the trainer. 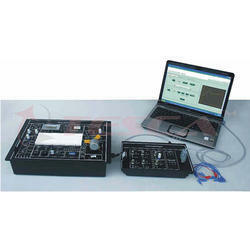 Application software for Interfacing with PC increases range of experiments. 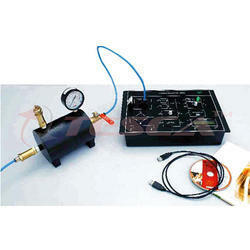 Pressure Transducer Trainer is designed to learn concept of Pressure measurement. It helps students & industry professionals to understand operation of Pressure Transducer in detail. Built-in On/Off Controller is also provided with audio & visual indicators. 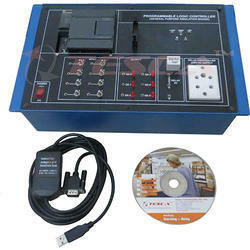 It also has a PC interface through USB for more interactive understanding of transducer characteristics. User can also take a direct printout if desired. 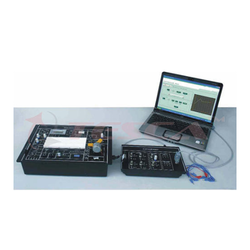 Pressure Transducer Trainer has a wide range of experiments with user friendly software.